Welcome to our site and we hope you have an enjoyable and rewarding visit. This is the website of Skehana & District Heritage Group and it is part of the Galway Heritage network of websites. Here you can browse through photos, memories, stories and historical information related to this historic area of County Galway. This website is created and maintained by a group of volunteers and we are always interested in welcoming new members – so if you’re interested please contact us. We facilitate and organise talks and lectures on various subjects of local history, the area itself, it’s people and it’s culture. As a group we meet on the 2nd Monday of each month in Costello’s of Skehana and everybody is welcome to attend. We encourage your active participation and interaction through this website and it is through these that it will grow and flourish in the years to come. Your memories, old photographs, stories and contact are greatly appreciated and makes our efforts worthwhile. Skehana is a small rural community in North East Galway and is sometimes referred to as being “the half-parish of Menlough” or Killoscobe to be more precise. In the past it has been said that “Skehana is a small village in the middle of nowhere” but as we are situated only 18 miles from Galway City, 17 miles from Loughrea, 10 miles from Athenry, 20 miles from Ballinasloe, 13 miles from Tuam, 23 miles from Roscommon, 28 miles from Athlone and indeed less than 2 hours from Dublin via the new M6 Motorway, we, as a community like to think, and indeed believe, that we are based in the centre of where it all happens. The area takes its name from the townland of Skehanagh which is the location of our local church. Today that church area is in the Catholic Parish of Killoscobe but it is also in the administrative Civil Parish of Moylough and indeed it is with the latter that our history is best researched and understood. Our Heritage Group, which was formed in October 2012, is a voluntary group of friends with an interest in Skehana and surrounding areas with their rich history and heritage. Our mission is to examine and explore social, cultural and historical aspects of the local hinterland and to facilitate the sharing of this information with the wider community. We will maintain this open access website and to facilitate and encourage contributions from all individuals and groups with a regard for Skehana and surrounding areas while retaining editorial control over all submissions. This website for Skehana and District Heritage Group has been developed in partnership with Galway County Council and is a member of the Irish Community Archive Network. 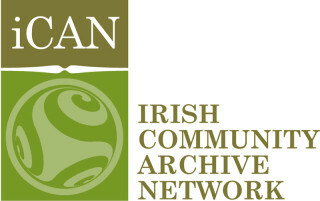 iCAN is a Community Outreach project of the National Museum of Ireland – Country Life which aims to encourage, support and equip communities in the creation of an online community archive website; collecting, preserving and sharing their local history and heritage online. Welcome again and thank you for visiting our Web Site and feel free to visit us again at anytime and why not think of contributing to our site with old photographs, memories and stories. If you find yourself in Co. Galway ………….. Do call to see us. If you like the work we are doing, and wish to support us you can make a donation towards the costs of our ongoing projects in protecting, researching and documenting our heritage by clicking the Donate button below. This page was added on 01/12/2014.